Several paragraphs referring to Russian oil trade in a United Nations report about sanctions on North Korea have been removed at Moscow's urging, sparking US anger on Thursday. Russia at the end of August had blocked publication of the report on the implementation of sanctions against North Korea because it disagreed with findings that Pyongyang had exceeded a 2018 import cap for oil set by the sanctions imposed last year, a diplomatic source said last month. Sources at that time also said Russia blocked a US request that two Russian shipping companies and six of their vessels be sanctioned over oil shipments to the North. 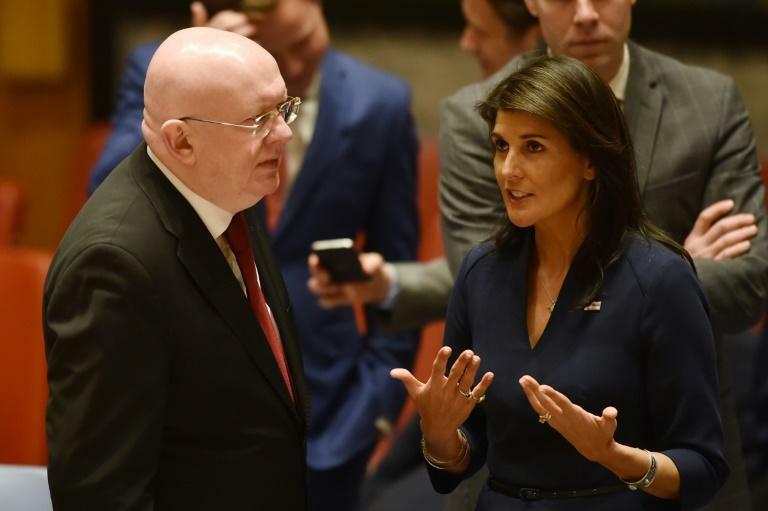 "Russia can't be allowed to edit and obstruct independent UN reports on North Korea sanctions just because they don't like what they say," Washington's UN Ambassador Nikki Haley said in a statement. She accused the UN panel of "caving to Russian pressure" and making changes to its report. "This is a dangerous precedent and a stain on the important work of the Panel," Haley said, calling for the initial version of the report -- dating from early August -- to be published. The US in July had demanded without success an end to all oil exports to North Korea, citing satellite photos and expert reports to claim illegal ship-to-ship transfers had allowed Pyongyang to evade sanctions over its nuclear weapons and ballistic missile programs. In its original report the UN panel included the names of Russian ships and entities that had contravened UN sanctions, opening the way for international measures against them. Russia "obtained the removal of the main part of the paragraphs" concerning it, a diplomat said, speaking anonymously. "The Sanctions Committee gave in," a move raising questions about its independence, he said.